An exceptional blue leafed agave that adds striking form to the garden. The plant occasionally offsets and can withstand frost. Plant is considered to be a natural field hybrid with specific parents unknown. 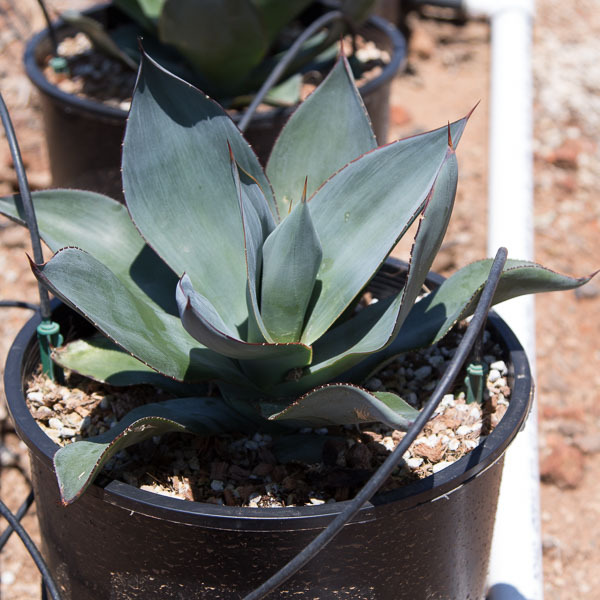 Agave Celsii Nova looks great planted in small groupings and will add a nice blue hue to your garden.